While most government agencies are trained in how to react to a mass casualty event such as a terrorist attack or natural disaster, few are prepared to deal with the psychological fallout for first responders. Preparing for the Unimaginable fills that void. This book is the product of the National Alliance on Mental Illness’s work with the Newtown, Connecticut, police force in efforts to cope with the shooting at Sandy Hook Elementary school that left twenty six people, including twenty children, dead. 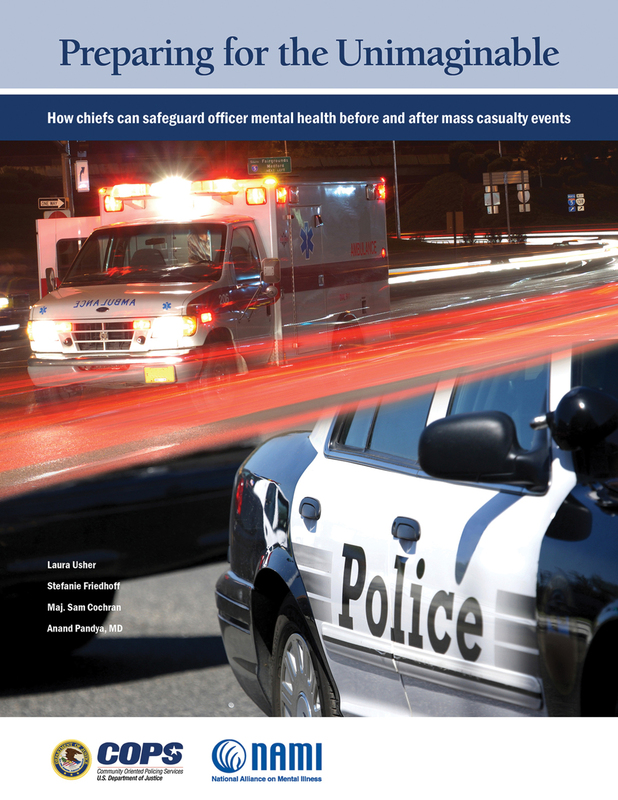 This unique publication offers expert advice and practical tips for helping officers to heal emotionally, managing the public, dealing with the media, building relationships with other first responder agencies, and much more. Complete with firsthand accounts of chiefs and officers that have guided their departments through mass casualty events, Preparing for the Unimaginable seeks to provide practical, actionable strategies to protect officer mental health before and after traumatic events. Stefanie Friedhoff is a German-American journalist. Her work has appeared in the Boston Globe, Time Magazine, Frankfurter Allgemeine Zeitung, and many other publications. From 2006 to 2014, Friedhoff ran a variety of programs at the Nieman Foundation for Journalism at Harvard University, including Nieman’s Trauma Journalism Program. At Nieman, Friedhoff created major conferences20 convening trauma experts, victims, law enforcement, journalists, and others involved in the lives of survivors to explore each other’s roles—and the role of storytelling—in the aftermath of crime and disaster. Friedhoff teaches media literacy for victim advocates at the Massachusetts Victim Assistance Academy and is a media consultant to the Resiliency Center for Victims of the Boston Marathon bombings. Friedhoff was retained as an expert consultant to NAMI to coauthor this publication. Sam Cochran retired as major with the Memphis (Tennessee) Police Department after developing the nation’s first CIT program and serving as its coordinator for 20 years. Today, he assists law enforcement agencies across the United States, England, Australia, and Israel in building partnerships with the mental health system and in starting their own CIT programs. He is a national spokesperson on mental illness and policing issues and received the 2000 News Person of the Year Award from City University of New York John Jay College of Criminal Justice. NAMI has named an annual law enforcement advocacy award after Cochran. He was retained as an expert consultant to NAMI to coauthor this publication.